FoodComaBlog featured a DIY Dessert Table from Red Velvet Catering that is divine. 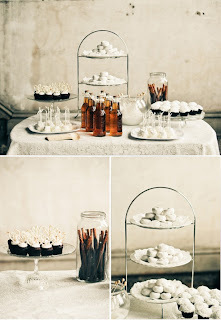 Makes me want to throw a bridal shower like, yesterday. Nuff said.